Dawid Malan says he “struggled to get his head around” being dropped by England earlier this summer. 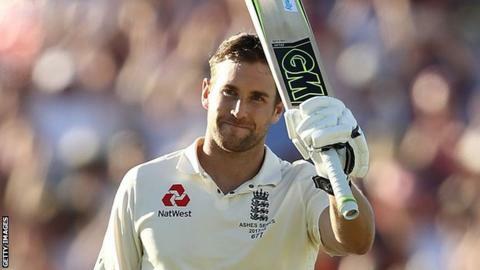 Malan, 31, top-scored for the tourists in last winter’s Ashes series and made a half-century in New Zealand, but subsequently lost his place after struggling in three Tests in England. “It has been a tough season in terms of being left out,” said Malan. Malan made 383 runs at an average of 43 in five Ashes Tests, including a century at the Waca, and also top-scored in the Twenty20 tri-series that followed against Australia and New Zealand. He has since averaged 19.50 in two matches in New Zealand and failed to pass 28 in two home Tests against Pakistan and one against India. And the Middlesex batsman has not played for England’s T20 team since ending the tri-series with 53 against New Zealand. When Malan was omitted from the Test side, national selector Ed Smith said in a media release “it may be that his game is better suited to overseas conditions”. Smith has since met Malan to clarify and expand on that comment, and the left-hander is now focusing on trying to earn selection for the winter tour of Sri Lanka, for which the squad is expected to be named in the next fortnight. “The comments that I was better suited to overseas didn’t help but I had a good chat with Ed Smith and he explained what he meant and that it wasn’t meant in the way it came across,” said Malan. “He said I hadn’t scored as many runs in England as I have overseas. He didn’t mean it in the sense of having technical deficiencies in England. Malan’s bid to catch the selectors’ attention once again has, he says, been hampered by playing on some difficult pitches at Lord’s this summer. He is averaging 31.64 in 10 County Championship second division games, with his one century at Hove in May. “The wickets at Lord’s have been really strange this year,” said Malan. “I think Lord’s has the 16th or 17th lowest average score in county cricket this year, which doesn’t make the stats look very good at all. Malan remains confident he has – in his words – “the all-round game to play international cricket”.